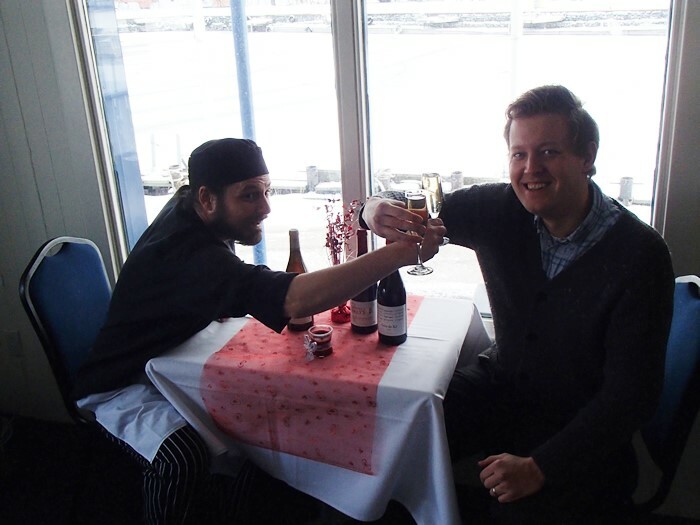 Chef Neil And James wanted to remind you (Fellows) to book your table at the Club for this Saturday's Valentines Dinner! Only a few tables left! Febrewary will kick off on Friday February 5 with a tasting of Beau's beers with David Beauschene from Beau's. Each week every Febrewary beer purchased will get you a ticket for a weekly draw for a Beau's scarf. Once all the Febrewary beer is gone there will be a grand prize draw for a beautiful Beau's branded wooden crate filled with 12 different Beau's beers. For Valentine’s Day come to KYC for a romantic candlelit dinner. Chef Neil will prepare a special four course dinner for Valentine’s Day, with optional wine pairings for each course. Tickets will be limited and are already disappearing. There are still some tickets left, so don’t miss out. Here is the menu, which is $40 per person and the wine pairings are $25. Butternut squash and apple soup with a maple bourbon crème fraîche. 2013 Bernard Defaix Côte de Lechet, Chablis 1er Cru AOC. Shrimp sautéed with chorizo in a tomato sauce topped with micro-greens. Roasted Enright Cattle Company sirloin, served with Yorkshire pudding, onion gravy and fingerling potatoes and seasonal vegetables. Red wine braised chicken with double smoked bacon, pearl onions and mushrooms, served with celeriac mash and seasonal vegetables. 2010 Domaine de Nalys, Châteauneuf-du-Pape AOC. Come down and have some Fun at the Club! The Harbour does not look like it is currently cooperating for us to have our 2nd annual “Broom Hockey” game, however we will have plenty of other things to do inside! (And possibly outside as well), which will include games and activities, a scavenger hunt and a movie! Please note the restaurant will remain on its normal winter hours (Closed), however Chef Neil has brewed up some fun drinks for us to enjoy! Doors open at 12:30 to 3:30 (or so). We encourage anyone to also bring down a board game to play! 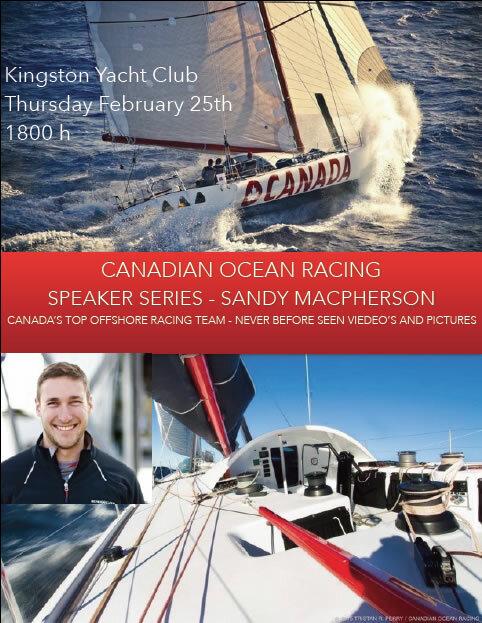 Sandy Macpherson is the current skipper, and former director of training and development, of Canadian Ocean Racing. Sandy joined the team in March 2015 after a successful campaign in the Mini 650 class. Sandy is the only Canadian to finish the Mini Race Les Sables – Azores – Les Sables, which is a 2400 mile solo race from France to the Azores and back on a 21 foot boat. Saturday, February 27 at 1300 to review current and future harbour redevelopment plans and activities. Detailed drawings, financial information and timelines will be presented. Embitterment is this week’s Febrewary release. Embitterment is an I.P.A. that blends and balances the more delicate and floral characteristics of select hops and mints. Brewed with organic lemon balm, spearmint and peppermint. Chef Neil suggests pairing a two lamb sliders with a mint and cucumber raita, a perfect appetizer on their own or a meal with a side. These sliders will only be available as long as a Embitterment lasts at the bar. At a meeting on Wednesday, January 27, your Board decided to make an exciting change to the mooring arrangements in our outer basin before launch in 2016. 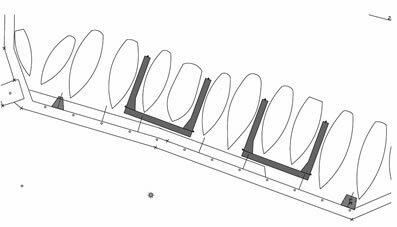 The Club will be adding four finger docks to the mooring array attached to the north side of the breakwater, east of the crane. Much more detail be shared in the coming while. The fee for these docks will be in accordance with the Fee Schedule passed at the last AGM (mooring plus finger dock surcharge). As this is the initial step in harbour remediation, the dock deposit will apply to these new docks at $61 per foot with a minimum of 30 feet. In other words, boats less than 30' using the new docks will pay the minimum. There is the possibility to extend the payment term of the dock deposit but details on this are still being determined. In order to make sure the Mooring Committee knows about everyone who might want to have one of these fingers as their mooring, we're asking you to be in touch with Greg McNab ( manager@kingstonyachtclub.ca ) as he is creating a list of all interested parties. Please do so by Friday, February 12th. Cheer on Team Rafuse/Boyd (KYC's Danielle Boyd) as they sail in the 2016 Worl Championship this week. 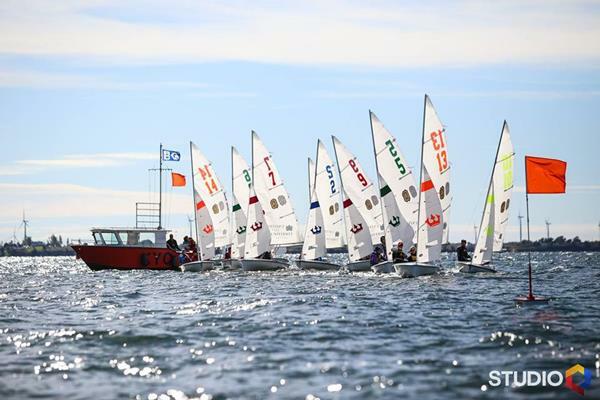 Congratulations to all of the KYC and Queen's Sailing Team (QST) athletes down in Miami who perserved under some tough weather at the Sailing World Cup. We are so proud! Placed 12th in Miami, ranked 54 in the world, top Canadian Female 470 team, and qualified Canada a berth in Rio Olympics! Placed 31st in Miami, ranked 91st in the world and qualified Canada a berth in Rio Olympics!